If you want to be up on the latest information, social events and happenings with the Corpus Christi Regional Transit Authority you need to subscribe to our monthly newsletter. It’s filled with stories, and news. Best of all it’s Free. Subscribe today. 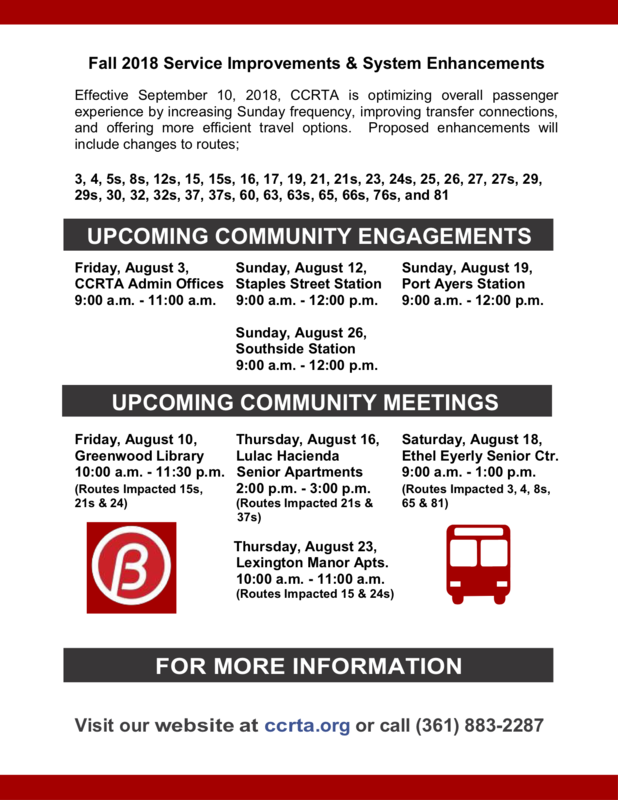 Effective September 10, 2018, CCRTA is optimizing overall passenger experience by increasing Sunday frequency, improving transfer connections, and offering more efficient travel options.